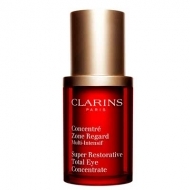 Clarins Concentre Zone Regard Multi-Int. Provides superior hydration; Restores skin's properties, boosting rejuvenation and erasing wrinkles. 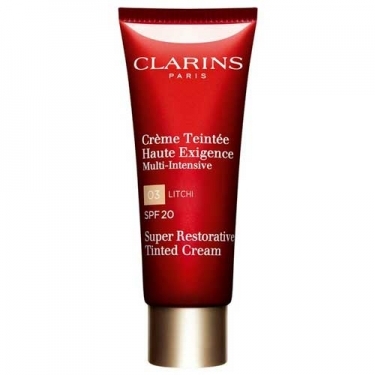 Crème Teintée Haute Exigence Multi-Intensive SPF20 is a tinted restorative cream developed for mature skin. Contains pueria lobata, kaki and mahakanni extracts. Gently smooth with upward circular motions after cleansing. When skin feels damages apply first the Super Restorative Serum.